This week is a light one for me, which is a nice change of pace. All Star Western, Aquaman, Fables, and Justice League Dark are the titles I'm looking forward to this week. All Star Western and The Dark Knight are tied into Night of the Owls, and I'm really curious to see how Jonah Hex and the Court of Owls cross paths. Jeff Lemire takes up writing Justice League Dark with this issue, and I'm excited to see where Lemire is going to take this title. New Members, and the start of something that most likely ties into Trinity War, Justice League Dark is building up steam, and you should check it out. The Culling crossover concludes this week. We will see if the Lost Legion and the Teen Titans can defeat Harvest. No matter the outcome The Culling Aftermath will continue with Ravagers #1 out next week, which I will be picking up. Voodoo is most likely on the chopping block. I haven't been overly impressed with the title, but I've been hopeful. So, we will see if Voodoo can impress me enough to stay on my pull list. Stay tuned to find out. Marvel had a couple of titles make it onto my reading list this week, and I am looking forward to Captain America. The title has the real Ed Brubaker feel and I'm glad the art has returned to something that works with his writing style. As for Amazing Spider-Man, I wish the end of this story arch would come, and the end of Dan Slott's tenure on the title, but those things won't happen anytime soon. Amazing Spider-Man might be a title that finds its way off of my reading list. A shame. It's time to get to it. 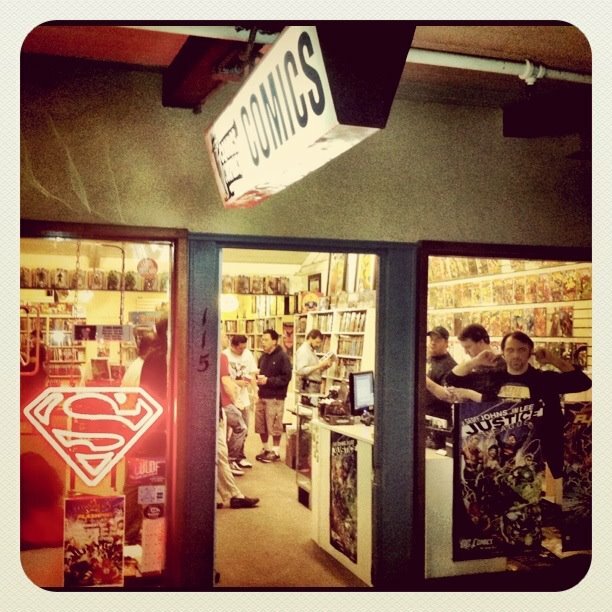 Go get your fix, read some comics, and enjoy New Comic Book Day. You are crazy! ASM under Slott w/ Ramos & Caselli is the best that the title has been since I first started reading the book - Michelinie w/ McFarlane and Larson. I love Slott's take on Spider-Man and have grown to love Ramos' art again. I don't want this creative team to change any time soon.